Although GPS tracking is the most accurate compared to WiFi based and cell tower based tracking techniques, there are a few factors could affect the accuracy of GPS positioning accuracy which could affect cell phone GPS tracking. 1 The sun. Yes, the sun almost affects everything in the solar system. The magnetic field generated by the sun could have a direct impact on the GPS system and our cellular network. 2 Weather. As the radio signal travels between the earth and the satellites, bad weather like rain, storm could cause signal attenuation, while we have better signal when it’s sunny and cloudless. 3 Buildings. As we live in the city full of high buildings, this could reflect the signals. If you could barely see the sky, neither could your GPS or cell phone. 4 Containers. Although you have a handset, you do not hold it in your hand all the time. In most cases, we put it in our pocket or bag which could reflect signal as well, luckily people do not use metal bags. 5 Our body. Yes our body absorbs signal too, if you are in a crowded bus, the signal fades. Hey buddy, you stopped my signal. 6 Metal. Metals could not only reflect signal, but also absorb it. So never put your mobile device in a area full of metallic or electronic products. 7 Multipath. The GPS receiver could receive radio signals following multipath, as buildings, trees and other things can reflect radios. 8 GPS chip. Now the mostly used GPS chip is SiRFstar III (GSW 3.0/3.1), it has lot improvements in the hardware and software to provide better sensitivity and anti-interference. 9 Clock errors. 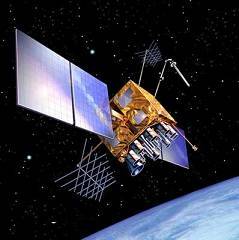 Timing is critical to GPS, and the GPS satellites are equipped with very accurate atomic clocks, but they are not perfect and slight inaccuracies can lead to errors.